Since 1955, Barber Foods has created simple, delicious food that makes any meal special. 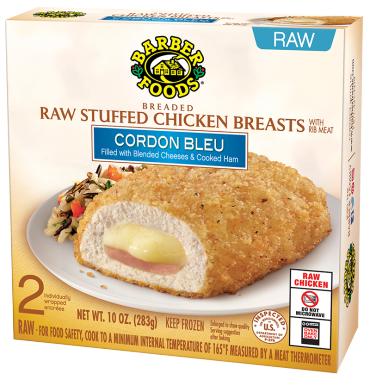 We select only the finest cheeses, highest-quality meats and freshest vegetables for every stuffed chicken breast we make. Bring Barber Foods to the table tonight and you’ll find it’s an instant family favorite that’s perfect for every night of the week.